Is Facebook login no longer supported? 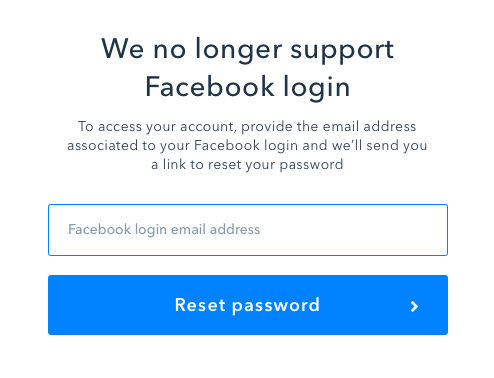 Starting November/18, Pipefy no longer supports logging in with Facebook credentials. The change will not affect authentication using Google and/or Github accounts. If you have an account in either one of those services associated with the same e-mail you use to login to Facebook, you might start using it to login to Pipefy. If Facebook has been your primary login method, please check the instructions below to learn how to set a new password and continue using your Pipefy account. 1) Access https://app.pipefy.com/login and click on the Facebook button. 2) Type your email. You will receive an email with instructions on how to set up a new password. 3) Open the email and click on the link. You will be required to type your new password (make sure it matches the minimum requirements for a safe password: at least one upper case letter, one lower case and one number). 4) All done. You can now use this new password to access Pipefy with your Facebook email. The Facebook login button will only be available until Dec, 26th. 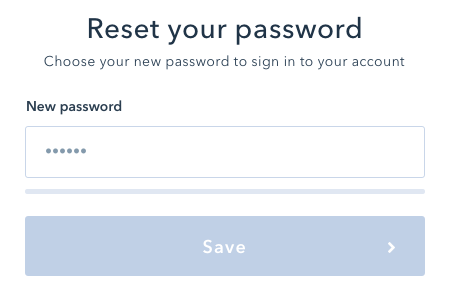 After this date, you can still reset the password selecting the 'Forgot your password' option in the login page.